For minor chips and cracks in your windshield, it may be tempting to purchase a do-it-yourself repair kit to resolve these issues cheaply. Most automotive experts recommend against using these methods to repair your windshield. Do-it-yourself kits can sometimes do more harm than good. Working with a professional Houston auto glass repair company can provide the reliable repair support you need to ensure safety on the road and the most attractive appearance for your vehicle. Here are five key reasons to avoid the use of DIY kits when repairing your windshield or auto glass. The process that introduces glass repair resin into cracks and chips requires a near-perfect vacuum to work properly. Kits sold for DIY repairs cannot usually provide the necessary vacuum to ensure a complete fill for cracks and chips. 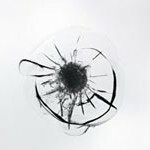 Additionally, centering these devices on the exact area of the damage can be challenging for novices to the glass repair field. Your Houston windshield repair shop can provide you with the most cost-effective and durable options for your auto glass needs. DIY windshield repair kits offer no repair warranty or information for vehicle owners regarding the structural integrity of their auto glass. This can cause a dangerous situation in which the glass looks stable after a DIY repair but remains fragile and susceptible to impacts. Windshields provide valuable structural support for most modern vehicles. Any weaknesses in these important components can increase the risk of injury if a collision should occur. Especially for cracks and chips that obstruct the driver’s field of vision, any mistakes in applying resin to these damaged areas can potentially result in a smeared area that can significantly reduce visibility, increasing the risk of accidents. In some cases, the only way to resolve these issues is through a complete Houston windshield replacement. . Rather than risking this added expense, it is often more cost effective to consult with a Houston auto glass company regarding even minor damage to your windshield. Most DIY windshield repair kits use sunlight or other simple curing methods that require a specific set of weather conditions and an extended period of time to work. Improper curing can cause weakening of your windshield’s structure and may lead to additional problems that could necessitate a full replacement or more extensive repairs in the future. By contrast, the curing methods used by professional auto glass repair shops involve the application of precisely calibrated UV light to ensure solid performance on the road. The right curing methods can have a significant impact on the durability and longevity of windshield glass repairs. Entrusting your car, truck, van or SUV to a qualified Houston auto glass repair shop can ensure the best results for your vehicle. DIY kits offer few or no protections for consumers against botched repair jobs. At best, you may be offered a replacement product if the original purchase was deemed defective or unfit for the purpose of repair. Houston windshield repair specialists, however, typically provide a warranty for their work that allows you to proceed with confidence when working with these auto glass professionals. This added level of assurance can ensure that you and your vehicle are protected against further damage when repairing windshield damage in Houston. Repairing even small chips and cracks in your windshield is essential to prevent further damage and to protect your vehicle’s structure integrity. By enlisting the services of an established Houston windshield repair company, you can enjoy greater peace of mind and improved results when dealing with all types of damage to your auto glass. This entry was posted in Auto Glass Repair and tagged Houston Auto Glass, Houston Windshield Repair, Houston Windshield Replacement. Bookmark the permalink.